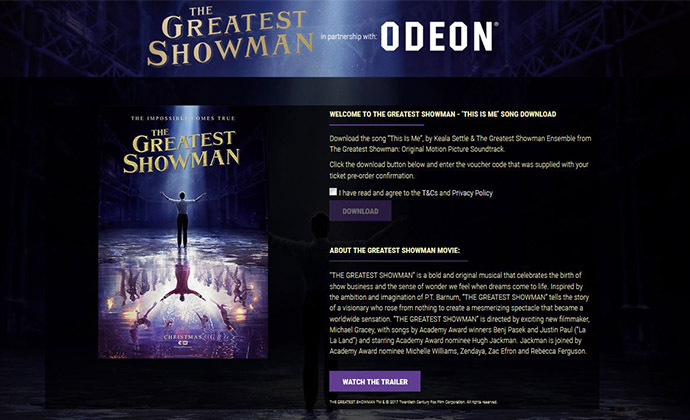 Together with Odeon / UCI Cinemas, a pan-European cinema chain, 20th Century Fox wanted to create a splash around the launch of their newest cinema release The Greatest Showman, starring Hugh Jackman, and decided to rely on Sony DADC’s Monetiser platform to promote their content. 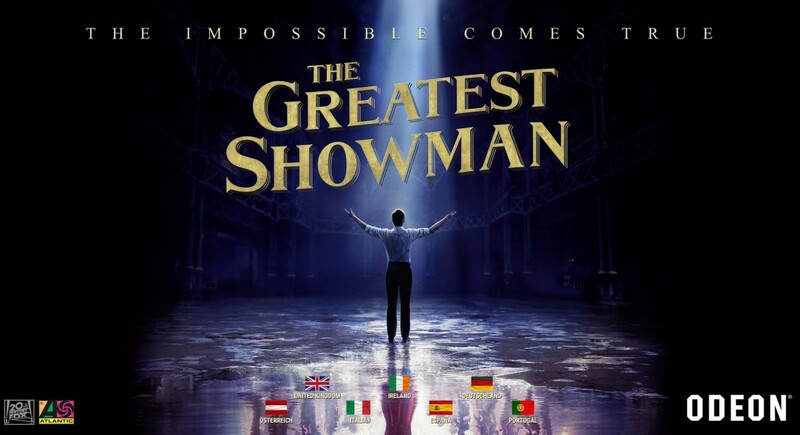 In exchange for pre-purchasing tickets to see the movie The Greatest Showman at Odeon / UCI cinemas, consumers were offered a voucher code for a free download of the movie’s main audio track This is Me, performed by Keala Settle. The campaign was live and running simultaneously in seven European countries: Austria, Germany, Ireland, Italy, Portugal, Spain and the UK. Our colleagues built microsites for each of the territories involved, requiring the translation of the microsite itself, its “Terms & Conditions” as well as the “Questions & Answers”. 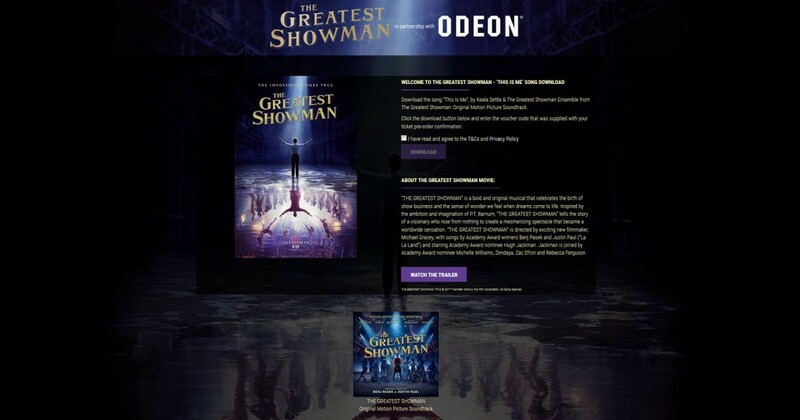 See here screenshots to view the promotion campaign for The Greatest Showman. Enjoy the inspiration!